Ryan Cohen, the managing director of our NYC studio, was asked to speak at ASAI’s annual Architecture in Perspective conference about how he built the Neoscape studio in New York. 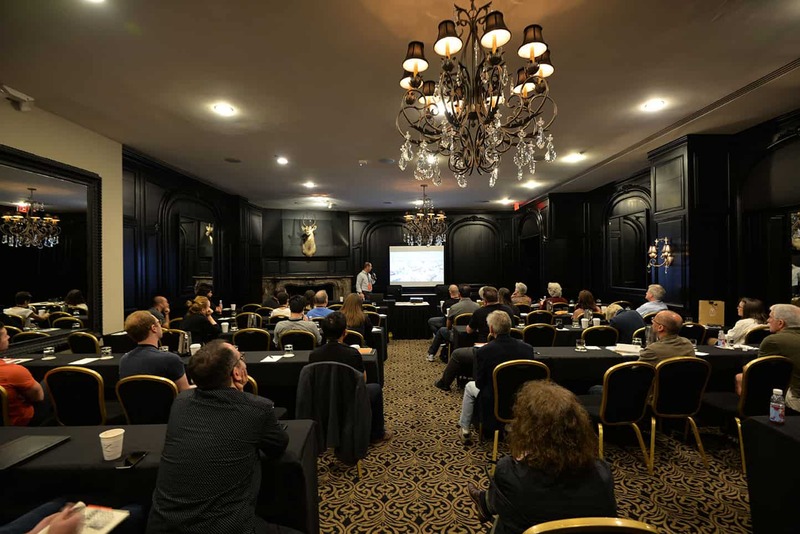 His session, aptly titled “Tales of an Arch Viz Brand in NYC,” began with some personal history as the audience was treated to a story of Ryan’s budding childhood art skills, his first creative heroes (Bob Ross), and then fnally his career dreams. These included becoming a dentist (until he realized how much schooling was involved), then an architect (until he realized how much schooling and how little pay was involved), and finally a 3D Artist for Neoscape when he realized that he was actually pretty damn good at this art thing. It seems everything worked out for the best in the end! Seriously, though, it was a good reminder to periodically track not only your career progress, but also the progress of your business and its development. His lesson to the audience was on the importance of remembering your goals, making sure they weren’t lost along the way, and checking in to see if adjustments and course corrections are needed. Ryan began his Neoscape career in the Boston studio as a Digital Artist. His artistic skills, work ethic, and New York roots made him the obvious choice to lead the new NYC studio. 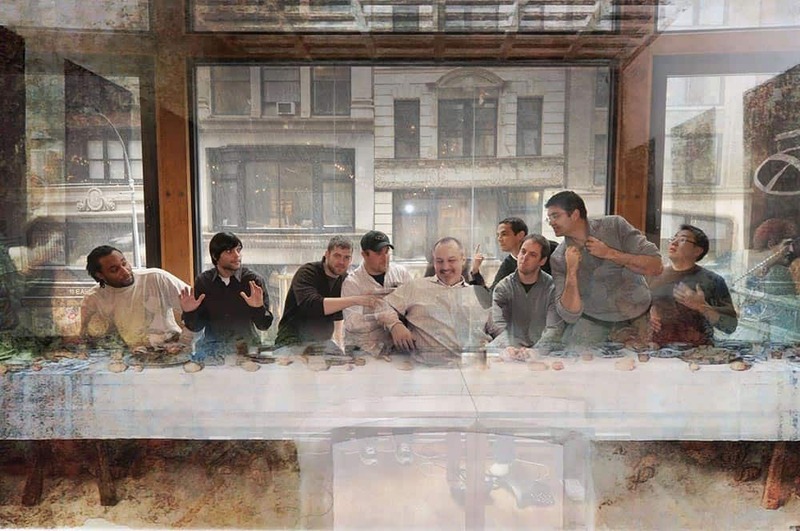 And so they started Neoscape NYC in 2006: with eight employees and a small office in Union Square. Ryan was in charge of setting up the new location–anything from ordering copy paper, hiring digital artists or prospecting new business, to doing the actual work. Self sufficiency was the name of the game. While it was often daunting to be a small satellite studio starting out in a new city, that same set of circumstances also enabled greater freedom in many ways. They had a freedom to try out new ways of getting things done because the traditional resources, back in Boston, weren’t always readily available. 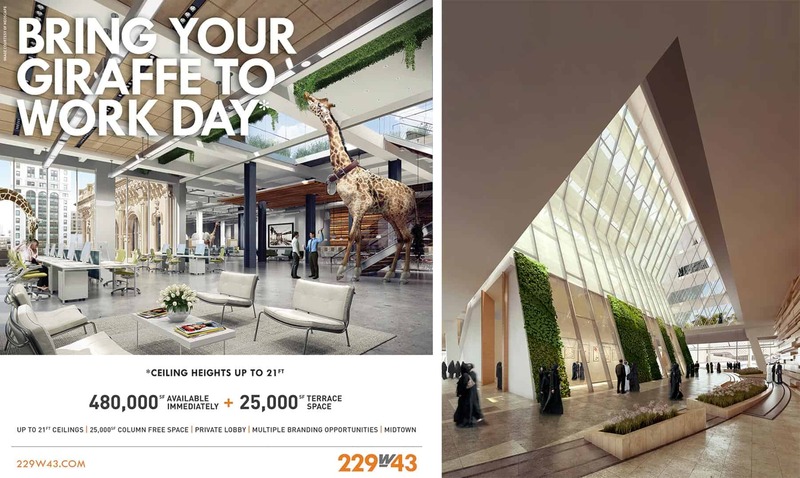 One of those efforts resulted in some of our best ad campaign work ever for Equity Office’s 229 West 43rd Street, the old New York Times Building. 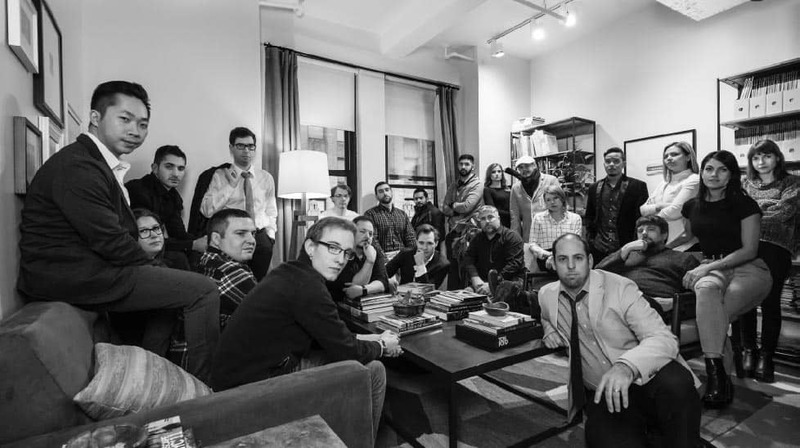 They took a chance that the NYC brokerage community did in fact have a sense of humor. Turns out it was a good bet, and the ads were a huge hit–creating awareness for the project and attracting just the right tenant, Yahoo! The studio was agile and nimble, gambling that its vision would pay off. When a friend at Perkins + Will asked for some rendering help with a Kuwait University project, the NYC studio saw an opportunity that went far beyond one image. They recreated an unsuccessful existing rendering–for free–just to prove a point. And it worked. They won the rest of the visualization work (renderings and films) for several more buildings on the Kuwait University campus. Ryan also spoke about the importance of making sure all of his team members feel connected to the Boston studio–but also appreciate their own importance and significance in the greater scheme of Neoscape things. To that end, the NYC studio has been carefully cultivated for success. Ryan needed to hire strategically to grow services and expand his client base. He cautioned his ASAI audience to be careful of growth (don’t grow just because you can) and to stay true to core values. For us at Neoscape, those values are Creativity, Drive, and Collaboration. Finding people who embody those values was, and always will be, critical. The right personality fit is just as important–if not more–than knowing the right Vray settings. And with that…. Ryan was off and running, discussing the studio’s process, how they measure success, and much more. Give us a shout at marketing@neoscape.com if you’d like a copy of his presentation.